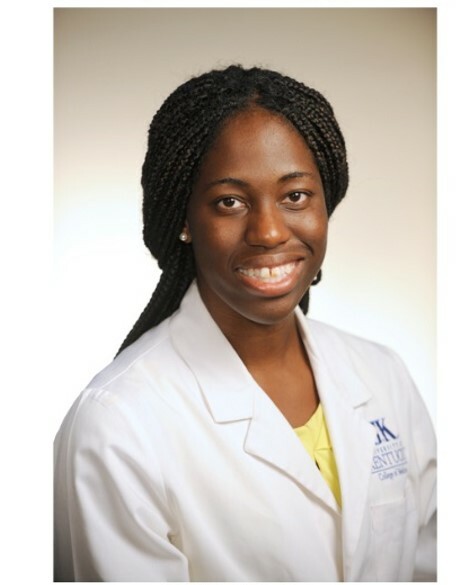 Lexington, USA – In a paper published in the Journal of Alzheimer's Disease, lead author Eseosa Ighodaro, PhD, encouraged fellow researchers to address the challenges associated with studying dementia in Blacks/African-Americans. The paper, co-authored by researchers at the University of Kentucky’s Sanders-Brown Center on Aging, the University of Washington, Rice University, and Rush University Medical Center, is a clear-eyed look at the barriers that hinder minority recruitment for dementia research and the misconceptions that potentially distort research outcomes through unintended bias. Perhaps the paper’s most provocative point is that using race as a variable in research can result in inaccurate data interpretation. The authors point to several studies exploring genetic ancestral markers and race self-identification to demonstrate that race is not a dependable proxy for genetics. “Race is, in many senses, a social construct that evolves over time due to social policy, cultural beliefs, and political practices, and risks misinterpretation of the differences between individuals who identify with certain racial/ethnic groups,” Ighodaro said. Instead, she suggested that socioeconomic status variables such as zip code, income level, education, access to medical care, and other social determinants of health need to be included in data interpretation, pointing to two recent studies that demonstrated socioeconomic conditions were a better predictor of stroke risk and dementia than race. Ighodaro also outlines horrific and unethical biomedical experimentation on African-Americans that continued into this century as one of the culprits for the African-American community’s persistent mistrust of physicians and scientists. As a result, some African-Americans, who fear they are “guinea pigs,” are less likely to participate in research or donate blood or other biospecimens, which can decrease Black/African-American representation in dementia research studies. Furthermore, the paper asserts, there is a need for efforts to increase the “diversity of thought and identity” among scientists, which studies show will enhance the quality and output of research collaborations. Full study: Ighodaro ET, Nelson PT, Kukull WA, Schmitt FA, Abner EL, Caban-Holt A, Bardach SH, Hord DC, Glover CM, Jicha GA, Van Eldik LJ, Byrd AX, Fernander A (2017) Challenges and considerations related to studying dementia in Blacks/African Americans. J Alzheimers Dis 60, 1–10.